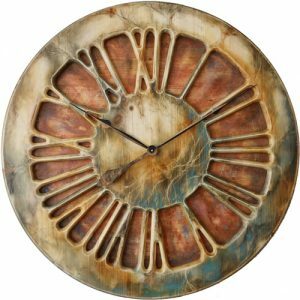 My name is Anna and I am lead artist and designer of all clocks you can see on the website. Together with my husband Wojtek, we founded Peak Art Clocks in the winter of 2014. We are based in Dore village near Sheffield. We haven’t got traditional store and are operating as online business only. Our main focus is “wow” factor of each piece. 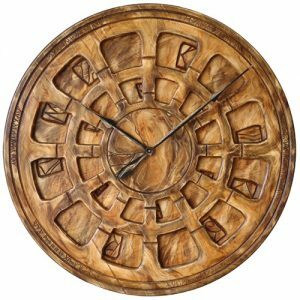 Due to handmade nature of work, no two wall clocks from Peak Art can ever be identical. 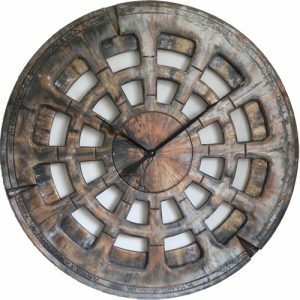 The main difference between Peak Art and many other companies selling large wall clocks is uniqueness. We don’t simply manufacture our products in large quantities but instead you can appreciate distinctive beauty of each piece. 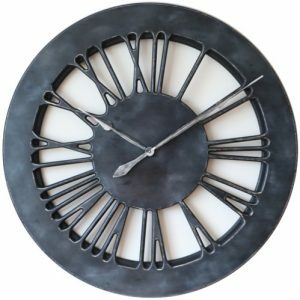 Our trademark skeleton wall clock design is probably the most popular choice. You can see that the front is cut out of single large piece of wood. Additional narrow rim at the back provides beautiful three dimensional look. There is nobody else on the internet, at least not to our knowledge, that offers this kind of design. 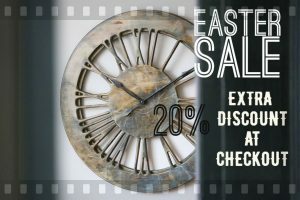 On the other hand, you will most probably find thousands of companies selling cheap skeleton clocks. We don’t compete on price or try to undercut competition because nobody else does what we do. 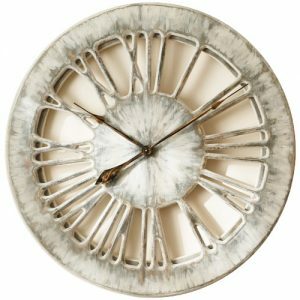 Our mission is to influence interior design trends around the World with functional decorative Art. Our customers provide a lot of inspiration for the new designs. We can ship our timepieces to over 40 different countries so wherever you are please get in touch.